Central Coast ranchers are facing a 'bust cycle' due to drought. 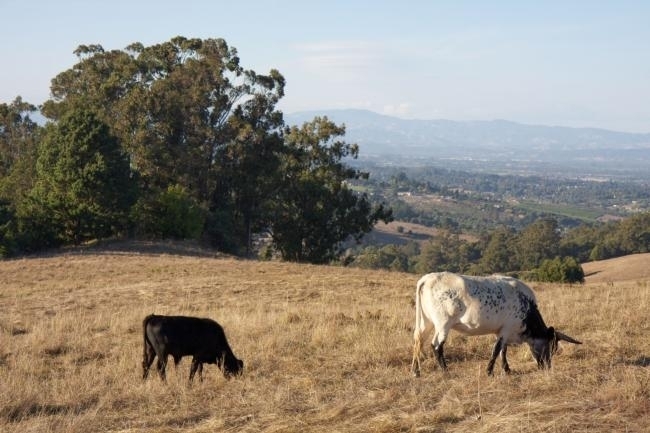 Since the late 1700s, grazing has been the best use for the rolling hills and valleys of California's Central Coast, reported Louis Sahagun in the Los Angeles Times. However, because of the state's four-year drought, three-quarters of the cattle in San Luis Obispo County have been sold or taken out of state. The sell-off brought in a record $129 million last year. "We see clearly what a bust cycle looks like," said Mark Battany, UC Agriculture and Natural Resources viticulture and soils advisor in SLO County. "Ranchers have no choice but to sell off their cows and rebuild the herd when the rain comes back." Sahagun reported that ranchers in the area have suffered severe drought for centuries. "During a drought that ended in 1864, some ranchers drove their herds off cliffs and into the ocean below to stop their suffering," the article said. The current drought is leaving landowners few options. The county placed a two-year moratorium on new agriculture that depending on the aquifer, so rangeland can't be converted to vineyards at the moment. "Ranchers are getting hit hard from every direction," said Royce Larsen, UC ANR natural resource watershed advisor in SLO County. "It's a grim and desperate outlook." Growing almonds in California takes about 1.7 million bee hives, drawing a large fraction of the nation's available bee hives. Why don't they stay in California? The state is already home to 500,000 of the nation's 2.7 million hives, said Eric Mussen, UC ANR specialist emeritus based at UC Davis. The almond bloom is great for a few weeks, but in terms of year-round foraging, "California is already at or near its carrying capacity for honeybees," he said. UC ANR released a five-page brochure last month that shows how hikers and other visitors can avoid conflicts with cattle that graze on public land. Cattle fatten up nicely when they can graze calmly – good for the rancher and good for the buyer of the meat down the line, the story said. Tricolored blackbirds are found almost exclusively in California. A UC Davis study found that the population of tricolored blackbirds in California is falling dangerously low, reported Kurtis Alexander in the San Francisco Chronicle. The birds, which numbered in the millions 100 years ago, are now down to about 145,000 in all. One reason for the decline, the article said, is the agricultural harvest. Before agriculture dominated the landscape, the birds nested in the valley floor's native tules, shrubs and grasses. The birds adapted to nesting in the vast fields of wheat, oats and other crops grown to feed dairy cattle. 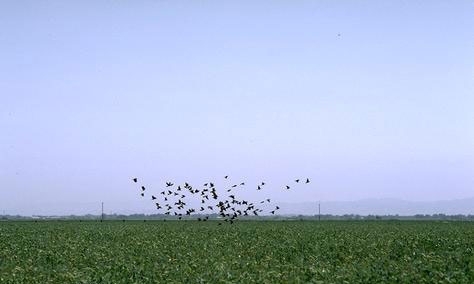 However, when the crop is harvested, many birds are caught up in the equipment, said Robert Meese, a researcher in the Department of Environmental Science and Policy at UC Davis. The USDA is working with dairy owners to protect the young birds and some dairy operators are voluntarily delaying harvest until the baby birds can fly away, the article said. In San Diego, the Board of Supervisors is coming to the aid of the state's ailing bee population, said an article by Mark Walker in the San Diego Union-Tribune. The board has voted to open up county land for beekeepers who are finding it hard to place bees in areas where they can forage for nectar. The county wants to foster more beekeeping in the face of dwindling populations from the mysterious colony collapse disorder. More hives could help honey production and farmers who need bees for their crops, the article said. Another insect - this one a pest - is the subject of stunning photos in a recent National Geographic feature. Photographer Sam Droege of the USGS Patuxent Wildlife Research Center captured a shot of an Asian citrus psyllid pierced by the tip of a needle that shows every tiny hair on its legs and every lens of a bulging red eye. The article reviewed some of the research now underway to prevent the spread of huanglongbing disease of citrus, a tree killing scourge that is spread by Asian citrus psyllid. Among the possible solutions are breeding Asian citrus psyllids that can't carry the disease, genetically modifying citrus to be resident and introducing natural enemies of the pest. One natural enemy under study at UC Riverside, Tamarixia radiata, appears in a photo that's part of the NatGeo spread. The image, by David Littschwager, shows an army of Tamarixia radiata with translucent yellow abdomens artfully back lit. The wasps were first collected in Pakistan by UC entomologist Mark Hoddle, who traveled to the Middle East to collect psyllid predators in their native range. Before being approved for biocontrol use, Tamarixia underwent a lengthy USDA evaluation intended to ensure that it wouldn't harm any native psyllids. It is now being released in ACP-infested citrus trees, where they are being carefully monitored for year-to-year survival. Polls show the 'Yes on Proposition 37' campaign is "way ahead" of those who oppose the initiative, "but there's a long way to go until November," the reporter said. The Sacramento Bee editorial staff called the 1862 Congress of the United States one of the most productive in American history. One of the reason was it's passage of the Morrill Land-Grant College Act July 2, 1862. The act created the world's best system of public colleges and universities for people of modest means, the editorial said. Previously most Americans had no access to higher education. California took up the land-grant offer in 1864 and the University of California was born – at Berkeley – in 1868. Later, the University Farm would become UC Davis. The Citrus Experiment Station would become UC Riverside. Lauren Sommer interviewed Ann Powell, associate researcher in the Department of Plant Sciences at UC Davis, about her finding that the gene that creates "green shoulders" in tomatoes influences the amount of sugar in the ripe fruit. Powell says now that they know about this gene, plant breeders could put it back in commercial varieties. In honor of National Honeybee Day, the Sacramento Bee paid homage to the indispensable pollinator with information about the challenges it faces. Colony collapse disorder, drought and urbanization take their toll. There was some good news: "Bees got through the winter a little better," said Eric Mussen, UC Cooperative Extension specialist, apiculture. "This spring, we saw bigger, earlier and more swarms." However, nationwide, the hot dry summer has made it a tough year for honey production. 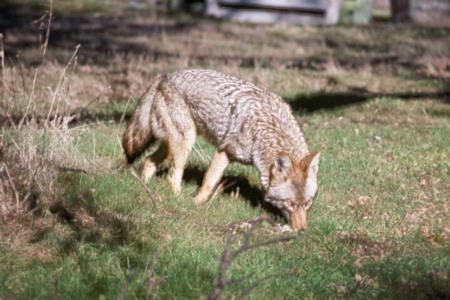 The Napa Valley Register took a closer look at coyotes in western Napa County subdivisions, after neighbors started spotting the canines near their homes. Reporter Peter Jensen talked to Robert Timm, director of the UC Hopland Research and Extension Center, which is located in Mendocino County. Timm said that researchers track reports of coyote attacks on humans, though no such attacks have ever been reported in Napa County. The Sacramento Bee reported that Bradford pear trees along Sacramento streets are blooming, and sidewalks were littered with flower petals after Monday's storm. Reporter Debbie Arrington talked to Eric Mussen, UC Cooperative Extension apiculturist with the UC Davis Entomology department, about how the early warm weather might affect pollination and fruit formation. "Honeybees don't really get confused," Mussen said. "They do act predictably. Anytime the temperature gets above 55 degrees, if there's food somewhere, they'll go get it." Though petals may fall, Mussen explained that bees will be able to pollinate trees unless storm winds and rain knock entire flowers to the ground, leaving nothing to pollinate. The price of chicken will likely rise. Soaring feed costs are forcing San Joaquin Valley poultry producers to cut costs, raise prices - and, in some cases, close their doors, reported Robert Rodriguez in the Fresno Bee this weekend. Feed prices have climbed as much as 50 percent since last year, fueled by the increasing demand for corn. 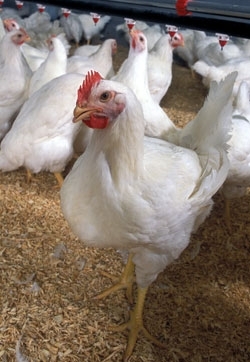 Director of the UC Agricultural Issues Center Daniel Sumner told the reporter that rising costs for poultry producers will boost the retail price, unless something else acts to keep prices down. "So, bottom line," Sumner said, "we should see higher retail prices with these high grain and oilseed prices." Small ranchers in El Dorado County gathered at a Local Meat Summit in Placerville last week to discuss obstacles to selling their products locally. Meat must be harvested at a USDA-approved facility, and there aren't many of those. Program representative Sean Kriletich of UC Cooperative Extension in Amador and Calaveras counties is working with ranchers to solve the problem. 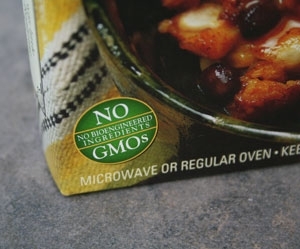 "We're trying to work toward getting a USDA-inspected facility for our region," Kriletich said. If more small ranchers can find a way to sell grass-fed beef locally, it will do more than benefit the farmers, Kriletich said. It will preserve open space for the entire community. "If people want to keep more land in agriculture, we have to get more money to the producers," said Kriletich, who said he used to run cattle himself, where El Dorado Hills subdivisions now sit. A recent change in attitudes toward urban sustainability and education about bee culture spurred the Humboldt County Beekeepers Association to ask the cities of Arcata and Eureka to loosen restrictions on residential beekeeping. UC Cooperative Extension farm advisor Deborah Giraud said the risks of keeping bees in residential areas are minimal.